Well done Simon. Passed first time with just 1 minor. 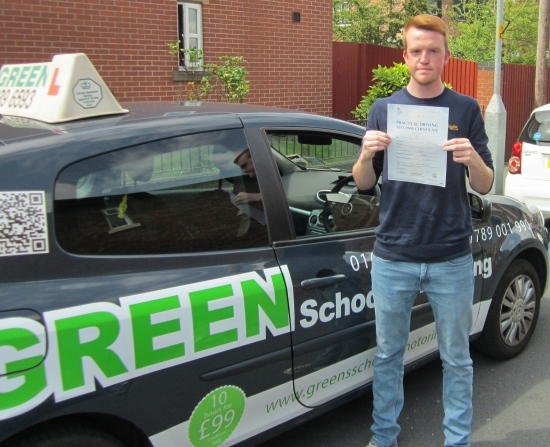 Simon is a good example of someone who wanted to learn to drive and pass quickly in a short time. He never cancelled, he wanted to be there and get on with it. Wish everyone showed the same determination. Anyone that is looking to do their driving lessons, go with Sean Green, relaxed approach, easy to get on with, pass quickly and more importantly first time!! Been a pleasure learning to drive with you! Thank you Sean.